A First Information Report (FIR) was registered on Saturday against the hostel warden of a government school for allegedly stripping 70 girls naked to check if they were menstruating. 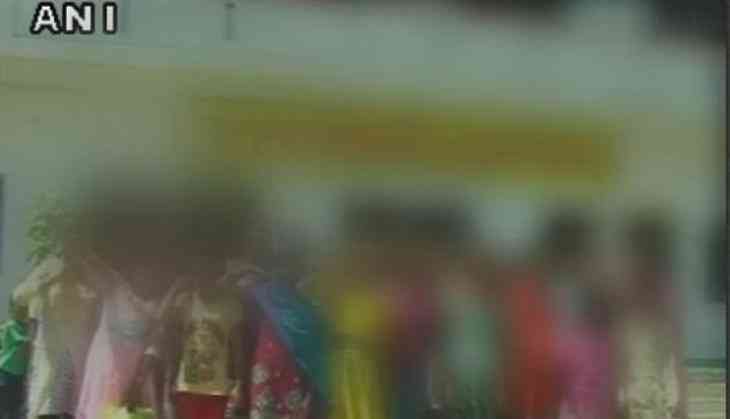 A hue and cry emerged in the public after reports of a lady warden of Kasturba Gandhi Government Girls hostel in Khatauli area of Muzaffarnagar, paraded 70 girls naked because she was upset over a few blood stains left on the toilet seat. The warden reportedly threatened to beat the girls who started crying or trying to resist the move. She kept the girls locked in a classroom for hours without their clothes. On Friday, Uttar Pradesh's Power Minister Shrikant Sharma condemned the incident and said a probe by the concerned authorities was initiated. "We were informed through the media. The concerned officers have been given instruction to carry out the investigation," Sharma told ANI. One girl student said the warden ordered girls to remove their clothes after discovering blood stains in the bathroom. "It was very humiliating for all of us. We want action against her," the girl said.